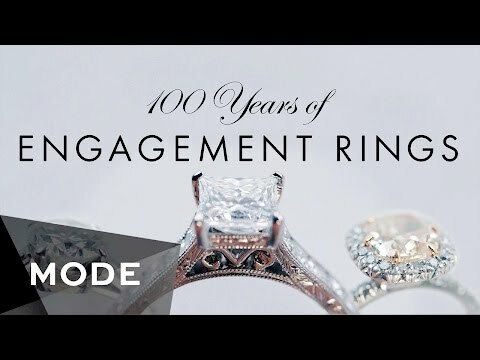 What Are The Different Engagement Ring Trends For 2018? Are you planning to tie the knot for next year? Isn’t that an exciting event to look forward in few months time? Surely, you are amused and nervous as to what your future wife would answer the moment you have decided to propose to her. The thing is, you need to prepare yourself for that very special day by asking her to be with you for the rest of your lives. Of course, aside from the surprise dinner, you must also have the engagement ring. Yes, that ring that sparkles and shines brightly to her eyes. Having to find the best ring might take you awhile especially if you have no idea what type of engagement ring should be you buy. Did you know that there are several types of engagement rings for you to choose? If the year 2018 is the best year to be engaged, it would be best to look also for trends to suit your style and interest. In this article, you will learn jewelry designs set for the coming year. Here are the following engagement ring trends 2018. 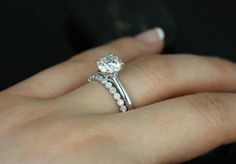 This is most likely one of the popular engagement ring designs that you will ever come across with. Some open rings come with a duo design such as having two stones in one ring. It sure does look timeless, and you can as well have it customized with her favorite stones or birthstones. For example, you want a diamond and a gemstone. This is a kind of engagement ring wherein you can have it shaped accordingly. You can choose a traditional jewelry cut. You can always have her friends ask about what’s her type of stone cut in case she gets engaged. Stones shaped rings are unique compared to those classic round stones. This type of jewelry never fades its trend. It’s so classic that almost all people whether engaged or not own this kind of ring. It has different shapes that come with a variety of cut stones either it’s a pear or oval shape. It is indeed unique and makes a very simple statement that catches attention. This is another option for you to choose. If you are into substantial eternity bands, this will make a great choice for you. This is kind of jewelry where it doesn’t have that stone in the middle. So basically, this provides a better “bling” effect compared to a big stone in the center of the ring. This is another engagement ring trend that is still suitable for those who plans to be engaged. Unlike the open rings, you can only have a gemstone. Collared stones such as peachy tones or blueish hue that would look great to a yellow gold ring. Looking for the right jewelry shop that offers the kind of engagement rings that suits your interest is important. 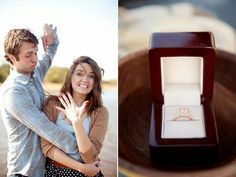 You are not only investing in a great and trending engagement ring but also the moment she said “yes” to your proposal. Reasons Why Women Like Single Wire Earring ?